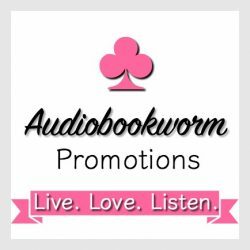 I’ve been on a roll with listening to audibooks in the past several months, so when I saw The Audiobookworm was hosting a tour on Colorless by Rita Stradling, I knew I had to jump on it. Though I knew very little about Colorless when I went into the novel, I was intrigued by the synopsis of a girl who loses both her parents and her colour. Did I enjoy Colorless enough to look forward to its sequel? Keep on reading to find out my thoughts and opinions. Then Annabelle is informed of her parents’ sudden and simultaneous deaths, and all of the pigment drips out of her skin and hair, leaving her colourless. Within moments, Annabelle is invisible and forgotten by all who know her. Colorless has a multitude of things going for it, most of all its unique premise. Stradling’s attention to the curse’s detail, from the colour being leached out of Annabelle, her clothes, and anything she comes into contact with, to the fact that she explained what would happen if she used her ‘power’ in antagonistic way was quite innovative. I also enjoyed the world in which Colorless is set. While I’m not sure if it was what Stradling was going for, I perceived Domengrad as a Russia/Germany hybrid type country, which is a setting that I haven’t explored in YA fantasy. Plus, the inclusion of a dire wolf mythology was down right awesome. My only issue was that the dire wolves came into the plot in the last third of the novel, so it just ended up leaving me wanting more! The characters on the other hand left something to be desired. Annabelle was a typical 16-year-old in attitude. I found her incredibly whinny at times, and given the amount of times she said something to the effect of, “I’m a higher status so treat me as such” I know it wasn’t me giving her an attitude. Stradling also made it quite clear of Annabelle and Dylan’s feelings to one another, but in the end didn’t act on it because it was deemed ‘unethical’ given that Annabelle was Dylan’s employer, or something like that. The saving grace for the characters had to be Sophie whose bravery in the end was refreshing in an otherwise sea of self serving characters.